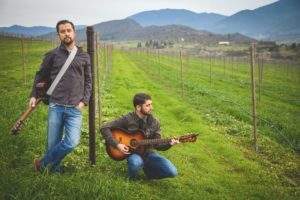 Songwriter Showcase: featured songwriters Carla Ann Bauer, Julie Rose and Rick Millward will perform all original songs, accompanying each other and creating an up close and personal experience of how songwriters produce their music, Sunday, April 28, 3:00-5:00 at RoxyAnn Winery, 3283 Hillcrest Road, Medford. See www.roxyann.com or call 541-776-2315. Admission is free.